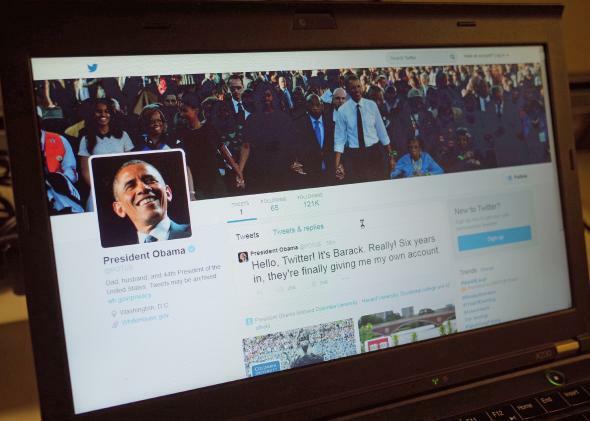 Twitter Project Lightning: How curated event pages will fundamentally change Twitter. “Project Lightning” Will Fundamentally Change Twitter. That’s a Good Thing. Twitter has always been about following people. Soon it will also be about following events. After years of tweaks and half-measures, Twitter may finally be on the verge of a bolder change. BuzzFeed’s Mat Honan reports that the company has been working on a feature codenamed “Project Lightning” that will give people a way to follow live events and trending topics on Twitter without having to follow anyone—or even sign up for an account. Tap an event and you’ll pull up a screen quite unlike the main Twitter feed. Instead of a vertical list of tweets in reverse-chronological order, you’ll see just one screen-filling tweet at a time—probably accompanied by an embedded photo, video, or GIF. (Yes, the videos and GIFs will autoplay.) The first tweet you’ll see will be the earliest one in the sequence, chronologically. Swipe left and you’ll see the next one, and so on until you reach the most recent tweet. The tweets chosen to appear in the stream for a given event will be the same for everyone, including people who don’t have a Twitter account. 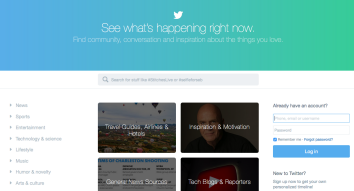 Twitter’s logged-out homepage, shown above, is another step in its evolution into a media company. Twitter will also give you the option to follow an event. When you do, the tweets that Twitter’s curators choose for that event will begin to appear in your main timeline. When the event ends, you’ll unfollow it automatically. Some might write this off as simply the latest iteration of Twitter’s mostly failed “Discover” tab, which automatically highlighted a collection of personalized tweets tailored to the interests of each user. It is possible that “Project Lightning” will meet with similar disinterest, and ultimately a similar fate. There are some crucial differences, though. Both features were aimed at plucking and highlighting the most interesting content from the teeming swamp of all possible tweets—a worthy and necessary aim. But in the absence of an organizing principle, the Discover tab always felt like a grab bag of random, out-of-context tweets from a few hours ago that might or might not still be relevant. Human editors and a chronological timeline should make Twitter’s event streams much more coherent. The new events tab will be the first major Twitter feature designed to work just as well for non-Twitter users as it does for those who have spent years building a list of accounts to follow. In fact, you won’t even necessarily have to go to twitter.com or open the app to see them: Twitter told BuzzFeed the event streams will be embeddable on other sites and platforms across the Web. That’s important, because Twitter has struggled mightily to get its active user base growing again. This struggle is directly related to the difficulty involved in finding the signal amid the platform’s ceaseless noise. I argued more than a year ago that, in order to take the next leap, the company would have to move beyond its roots as a social network and refashion itself as a media company. Hiring editors—sorry, curators—to find, organize, and highlight the most compelling tweets about a given news topic is a big step in that direction. Close observers will note that this also sounds a lot like one of the major recommendations the venture capitalist Chris Sacca recently offered in a widely shared blog post about the company’s future. It wouldn’t be a stretch to surmise that some of Sacca’s other ideas—like topic-based “channels” for politics, sports, entertainment, etc.—could be next in the pipeline if Project Lightning succeeds. Actually, those sort of already exist. BuzzFeed didn’t mention it for some reason, but Twitter quietly debuted a new homepage for logged-out visitors earlier this year. (See the screenshot above, or just visit Twitter.com without logging in.) As I reported in April, that homepage invites you to choose from a menu of categories, including “General News Sources,” “Celebrity Chefs & Personalities,” and “Cute Animals.” Pick one and you’ll see an algorithmically generated timeline of tweets from various prominent accounts in that interest area. You’ll be able to follow events as well as people. You’ll be able to dive into Twitter at a moment’s notice without spending hours finding the right accounts to follow. Twitter will begin to evolve into a media outlet in its own right, with human editors deciding which tweets best tell a story that millions of people might read, both on Twitter and off. Twitter will quickly find that being a media outlet comes with a whole host of new problems it never had to deal with before. But at this point, that should be a welcome change from dealing with the same stubborn problem every day: an inability to show its best face to the new and casual users it so desperately craves.